“A lot of people think Formula One isn’t a sport because everyone drives a car when they go to work in the morning. But we’re pulling up to six G on a corner or during braking, which is almost like being a fighter pilot. So we have to do a lot of work on our neck muscles. Motorsports are a rare breed of sports where the engineering meets the sporting world. The formula one race is the pinnacle of these events. The ever evolving formula cars allow the engineers to brainstorm over the design while maintaining and/ or increasing the safety aspect for the drivers. Not to say F1 is entirely safe as it has its fair share of casualties. The most notable being Ayrton Senna, former three times world champion who was killed in a crash in 1994 and most recent being Jules Bianchi, who suffered a head injury during the 2014 crash in Japanese grand prix and passed away 9 months later. That being said, apart from Bianchi’s tragic demise, the F1 had almost curbed the deaths related to F1 related accidents for almost 12 years. The yearly modifications in the technology department as well as continuous research to increase the efficiency of cars, makes formula one an expensive sport. The average cost of formula car is around 10 million dollars with teams spending around 200,000 liters of fuel per season. This affects directly on the spectators wallet which is why it is also lauded as a rich person’s sport. Despite the cost surrounding it, India will always find a formula 1 devotee excusing himself from work for a couple of days just to attend the granddaddy of motor sporting event if held in India. But, the most disappointing news for Indian fans is that the Buddh International Circuit is again excluded from this year’s racing calendar. The taxes imposed by the local government to view F1 as an entertainment rather than a sport has been the source of rift which has taken the Indian GP out of the racing calendar for a few years now. Why India needs to bring back F1 is not just to please the motorsport enthusiasts, but rather to attract the global fanfare attached to it. 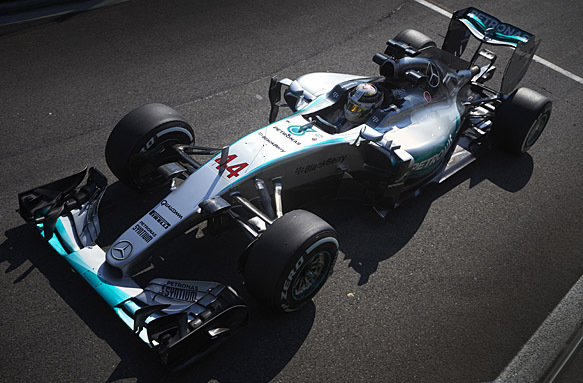 The inclusion of F1 in its already broad spectrum of sports, will attract more investment and tourism in the country. After all India is a thrill seeking country and nothing engages us more than the thrill for speed.